Passport To Thin offers corporations the unique opportunity to enjoy either individual coaching or group coaching at their workplace. Coaching sessions are held weekly for 45 minutes and run for 12 weeks. All coaching sessions include the Passport to Thin Weight Management Program and Food Diary, private weigh-in, and e-mail support. Passport To Thin offers weight loss telecoaching sessions. Telecoaching is an increasingly popular, convenient, and effective way to bring weight loss into your busy day, busy schedule, and busy life. These coaching sessions take place over the phone and offer privacy and convenience from wherever you are and wherever you go. Coaching sessions are scheduled and follow the same service guidelines as all other personal coaching sessions. They are accompanied by the Passport to Thin Weight Management Program and Food Diary. 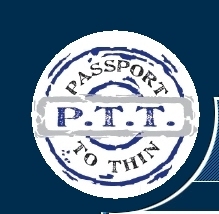 Passport to Thin offers customized workshops to corporations. This program consists of a series of 3 workshops, each featuring a 45 minute adventurous and interactive meeting. Workshops are completely tailored to the specific needs and interests of its corporate participants and cover topics such as nutrition, personal and professional balance, and fulfillment. Copyright © 2007 - 2019 Passport To Thin, LLC. All Rights Reserved.